In this translated interview, originally appearing in Russian language on the popular Russian portal Sovsport.ru, Andrei Markov talked about his 100th goal for the Habs, discussed the current season, and remembered Viktor Tikhonov. – Andrei, not long ago you scored your 100th goal for the Habs. How important is this for you? – Of course it’s important for any player. But I didn’t know that I was in such a position in the history of the Canadiens. – Yes, only four defensemen scored at least 100 goals: Serge Savard, Guy Lapointe, Larry Robinson, and you. – I think that we should talk about history only once I’m retired. I still have something to show. – When you scored your 99th goal, everyone was waiting for the 100th. Did you feel the pressure? – Subconsciously I was thinking about it. But sometimes the puck doesn’t go in and what can you do? You shouldn’t hold your breath in these situations. I simply knew that, sooner or later, I would score. – Did you collect the puck of your 100th goal? – At the team they closely follow these things. You aren’t going to miss the puck of your first or 100th goal. They prepare a good package for the puck and give it to the player. – How did they celebrate you for your 100th goal? – There weren’t cakes, nor toasts. No one shove a shaving cream cake in my face. – This year the Canadiens are doing well and you’re now on the first place in the standings. What is the secret? – I’ve always had the impression that as soon as we get praised, we start playing worse. And thus I don’t want to make any proclaim. We have a good and young team. Last year we gathered some playoff experience as we got to the Conference Finals, and this is why now we play more confidently. But we have room for improvement. We should not stop. We played only 23 games thus far, the most interesting part of the season is still ahead of us. We shouldn’t relax, but work further. – Do you feel a veteran? You’re in Montreal since 2000. 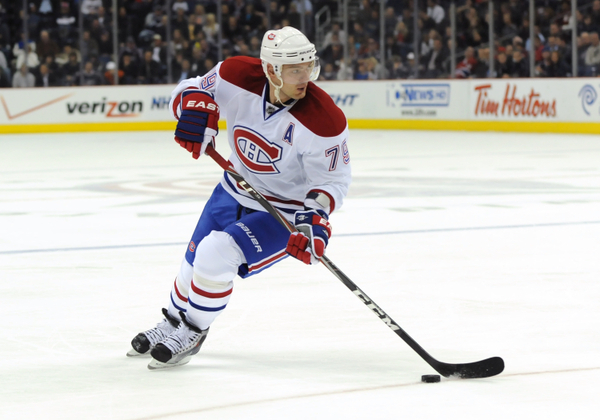 Teammates and coaches change, but Markov is still there. – I don’t think about it at all. Moreover, I physically feel much better than some years ago. I try to enjoy every single game. I don’t want to think about being 35 and that someone would call me a veteran. My teammates infuse youth in me. 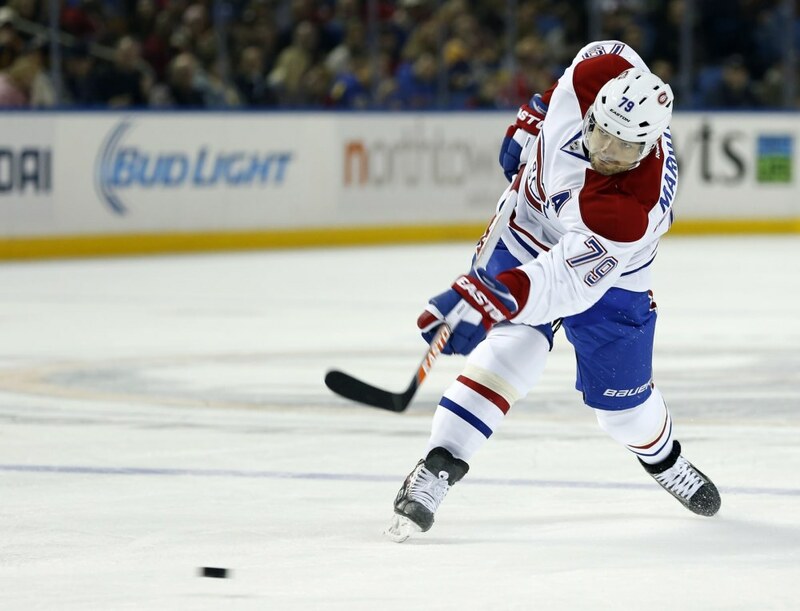 – Does Habs head coach Michel Terrien, whom you know for many years already, put emphasis on the fact that Markov is the most experienced player of the team? – There is a group of players with whom Terrien talks and asks their opinion. These players have more accountability than younger players. Everyone understands that and tries to be a good example both on and off the ice. We have a friendly team, no one needs to be forced. We all go toward the same goal. – Is it true that in Montreal the best player of the game is awarded with a boxing robe? – Yeah, that’s how it goes. – But why a boxing robe and not a hat or a cap? – I don’t know the history. Maybe it was an idea of some coach. But I think it’s a good idea. Yes, this year I still didn’t deserve any boxing robe, and last year we didn’t have such a “tradition”. So you see, now I have another goal. – Would you like to play again for Team Russia? – I’m not going to do any forecasting. Those decisions belong to the National Team’s staff and coaches. If they would consider me worthy of a call, I’ll be only happy about it. You have to show your best game and that they did the right thing in calling you to Team Russia. – Did you manage to work with Viktor Tikhonov? – Unfortunately, we never worked together. But everyone recognizes him as a legendary coach and a legend of Russian hockey. It’s a big loss for all our Russian sport. You can say that a tragedy happened. A great man from a great generation left us. I can only express my sincere condolences.